Her smile was radiant. It lit up her eyes and brought a warmth to his soul, and he knew that he wanted that smile for the rest of his life. He had become her rock, her partner in all things, and without a shadow of a doubt understood that without him being by her side, her life would be meaningless and not nearly as full as it had been since they met. So hand in hand, excited and scared and nervous, they decided on forever. And so they laughed. And they loved. And they cried and got angry and forgave. They worked together and didn’t give up on each other. They were partners, a team, the perfect match in every way. And they cared for each other in such a way that words cannot describe it. I hope ya’ll garnered some inspiration from this inspirational shoot that we did in collaboration with Hannah Herpin Creative, Madames and Mermaids Artistry, Pure Vintage Rentals, Banter and Charm and The Keeping Room, and Blush Formal and Bridal. It was such a joy to work on, and I know that the various elements of this shoot can be altered to fit your aesthetic and your vision. It's no secret that I love Baton Rouge -- the people, the culture, the way there's a mix of traditional values and traditions with modern ideas and design. The way residents of the city approach gatherings are set apart from the state because of this eclectic combination, and has created some of the most striking and beautiful wedding venues. 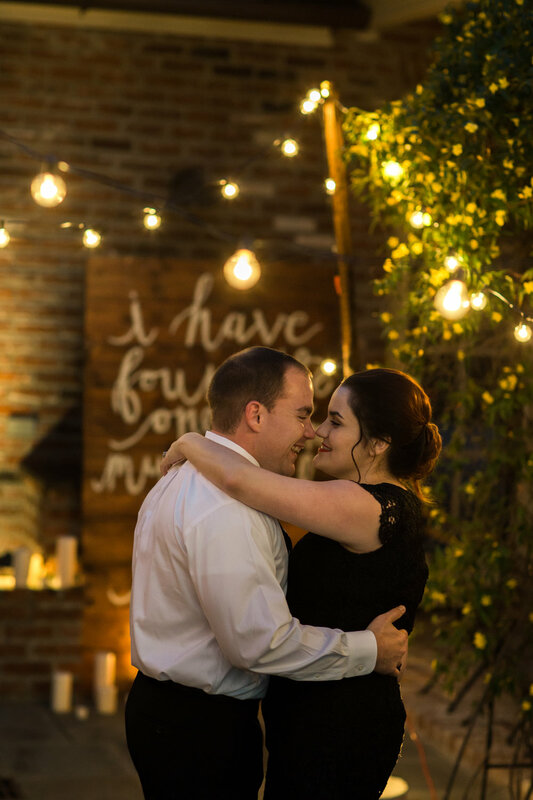 That being said, there are quite a few popular and go to spaces that people adore, but among the charming paths of MidCity and down Old River Road, we have some of the most quaint and special hidden gems of venues that will leave lasting impressions on your guests for years to come. Found in the midst of cane fields, the James Grace House is a classic Antebellum home with sprawling acres of meadows and oak trees, and offers both indoor and outdoor spaces for weddings and events. With a bridal suite and restrooms on site and the availability of tables and chairs, the James Grace house has taken every detail into consideration of what an event could need or want. The property owners are kind and relaxed, and the ease of which they work with your clients make you feel like family. For more information about the James Grace House, you can click here. With minimalist design being combined with rustic detail, Cane Land Distilling on the edge of Downtown along the Mississippi River is the perfect setting for a more modern couple. The neutral decor that allows you to get creative with colors and design elements, as well as the views into the taproom and the actual distillery, both work in the favor of this space in making it ideal for a wedding or large party. More information about events at Cane Land Distilling can be found here. Lucky Plantation is a short drive down Old River Road, where you can fly by the sugar cane fields and Mississippi River and pull into the quaint drive of the home. 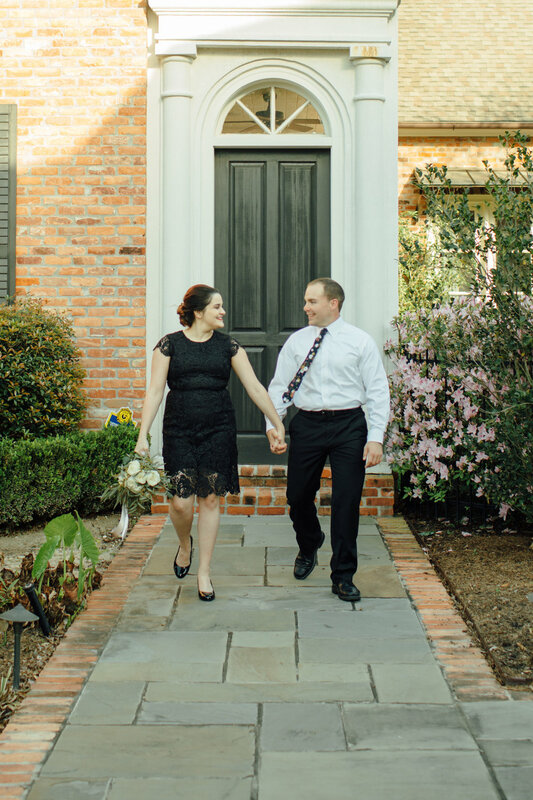 Sporting a lush garden and fountain as well as oak and magnolia trees over the property, Lucky Plantation is ideal for smaller and more intimate weddings seeking classic Southern Charm. The property has indoor options as well (perfect for a Rain Plan) that matches the look and feel of the rest of the home with floor-to-ceiling shutter doors and 1860's details. More information about Lucky Plantation can be found here. Located in the heart of Downtown Baton Rouge, the Trademark on Third is a newly renovated space in neutral tones and flooded with natural lighting, and is right above the Driftwood Cask and Barrel. What makes Trademark special and unique to the downtown area is it's proximity to nearby ceremony venues, as well as the array of options you can select from for food and beverage (that is, not just seafood from this gorgeous place!). More info about the Trademark can be found here. The Cabin is quaint and off the beaten path in Burnside, Louisiana, and features a brick courtyard and original buildings throughout the property. With shiplap walls and rustic motifs scattered around, the Cabin is the perfect local find for a Fixer Upper aesthetic with a reasonable budget. More information on the Cabin can be found here. I hope this guide about the hidden venue gems of the Greater Baton Rouge area helps you in finding a unique venue for your big day! Each of these venues have their own distinctive charm that make them unique from each other, weather it's the location or the amenities. I strive to show reasonable and beautiful venues to my brides and grooms that fit their aesthetic and style, and if you have any suggestions of spaces within the Greater Baton Rouge area (or beyond!) I would love to hear about it over a cup of coffee. Operation: I Do | Military Traditions, and do I Have to do Them? Welcome to the first installment of a new series here on the blog, Operation: I Do, where we’ll be discussing the different facets regarding military wedding and event planning, including determining formality, the differences between enlisted and officer events, wording paper goods, and etiquette when it comes to the military. I’ve been very fortunate to have had the experience to assist in coordinating and planning numerous military functions between the different branches, and I hope that by sharing this knowledge and the knowledge of other industry professionals, it can help ease the stress of planning for our future Milspouses and their servicemen and women. We’re kicking off the first part of this series with common military traditions, and answering the question of do you have to incorporate them into your wedding. Though units, squadrons, flights, and battalions could possibly have their own traditions (and therefore be different, especially between branches), we’ll be covering traditions that have been observed between all branches. If you have questions about specific traditions, especially if you want to incorporate those from your service member’s battalion or squadron, be sure to ask your service member, and have them ask their coworkers or DO if they know of anything. So, onto the traditions, and the pomp and circumstance that you may be wondering about! The first and foremost, and possibly most photographed when it comes to military weddings, is the saber and rifle arch. The saber and rifle arch is has traditionally been at the end of the ceremony, and operates as a grand exit for the couple. Sabers are strictly reserved for officers, while rifles are used for enlisted members. The team operating the arch almost always where’s pristine, white gloves. If you areconsidering an arch, be sure to inquire at your venue if it’s allowed – as you can imagine, a venue may not be too keen on having operational weapons on their grounds, or the church may ask you to have your arch line up outside. Speaking of sabers, it is traditional during the cutting of the cake to use the highest ranking officer’s saber as your cake knife. Now, whether or not you want to be wielding a saber around your beautiful cake will be totally up to you, but if you should decide to go that route, be aware of sanitizing the saber so you’re good to go for eating your first slice and a married couple. It must also be noted that for seating throughout the reception, if you are doing assigned seating, to do so by rank. For the ceremony, it is also traditional to reserve seats for high ranking attendees (including veterans), and to have their seats reserved by family members. Observing the intricacies of hierarchy is not only following the rules and regulations of the military, but is a generous olive branch in acknowledging the lifestyle of your significant other. Another tradition, though more so of just a fun aspect you can incorporate and has become popular in recent years, is that of party shirts. If you've attended a formal event with your service member, you might've noticed a few folks wearing these. Party shirts are generally shirts where the back and sleeves have been replaced by fun fabric, and are commonly seen when folks are in Mess Dress (aka their tuxedo equivalent of a uniform). You can have a lot of freedom with party shirts, especially if your groomsmen are all service members (also, what a neat gift to give them the Day Of!). Finally, the biggest tradition and perhaps most observed is that of wearing their uniform. Whether you decide on black-tie (which would be Mess for your service members) or business casual (which would lend itself to be Service), letting your attendees know what level of formality to expect will keep not only continuity throughout the ceremony and reception, but as someone who is currently serving, your obligated to give that nod. However, much like that of recently separated veterans, your service member is not obligated to wear a uniform at all; it is completely up to you and your future spouse as to that. If your service member is in the Guard or Reserves, it is suggested that they not consider wearing their uniform, or observe many of the traditions outlined above. However, the question at large left to answer is should you have these traditions incorporated into your wedding? And the answer is both yes and no. Contrary to what many believe, unless you are not an American citizen, the government does not care who their service members marry. Like a regular job, they still have to report the change in marital status to HR, and you'll have to enroll is DEERS and Tricare, become their Power of Attorney (which I strongly recommend...it's a struggle to pay the bills when you're FIL is still POA and you don't quite have bank accounts sorted out). Though it is generous to invite their coworkers, as you would consider if you were not marrying someone in the military or separated, there is a level of formality and tradition that is expected, and with that comes the uniforms and the arches, and wording your invitations differently (which will be coming soon, I promise!). This is a trial run for the rest of your lives together -- observing, acknowledging, and incorporating the different facets of your service member's life into yours, and knowing that there is something bigger that both of you are going to be a part of. I hope this little guide relating to some of the wedding traditions of the military helps you as you plan your big day! As someone who is a Milso and assists future Milspouses regularly, I love sharing this information and helping brides and grooms make sure that all the intricacies and details are followed through, and that they are pulled together in a tasteful and beautiful way.